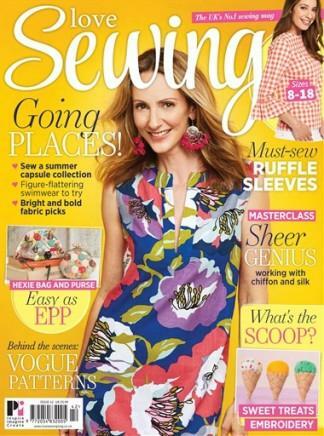 Each issue of Love Sewing is full of high-quality practical sewing projects. Be part of a close-knit community of makers who are discovering the joy of creating more for themselves.Featuring a free monthly pattern, easy-to-follow step-by-step guides and using the latest fabrics you will be able to create fabulous contemporary accessories for your home, family and wardrobe, with even basic sewing skills.Whether you're a complete beginner or already an avid maker, every issue will inspire and build your skills from mastering your machine to perfecting your sewing technique. One of the best sewing magazines available. Great projects, tips and general sewing information and always at least 1 great free pattern.